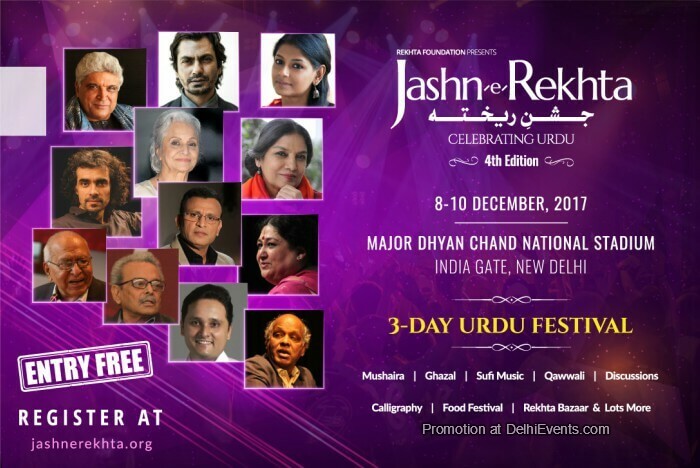 Jashn-e-rekhta is the biggest Urdu festival. The slogan of the festival is CELEBRATING URDU. It is a 3-day event that is celebrated in New Delhi. This festival is all about its language, beauty and nature. This year it was a 5th edition of Jashn-e-rekhta. In here, all the Urdu artists has a great line up. The founder of Rekhta foundation Sanjiv Saraf said that if there is any language whose very essence tugs affectionately at one’s heartstrings, it is Urdu. The festival provides a platform to different genres. With this festival, we create a bond and bring people closer to each other and to the language.